Rupert Pupkin Speaks: Favorite Film Discoveries of 2014 - Jill Blake ""
Jill Blake is co-founder and senior editor at Black Maria. She is also a big SHIRT TALES fan. Find her on twitter at @biscuitkitten. 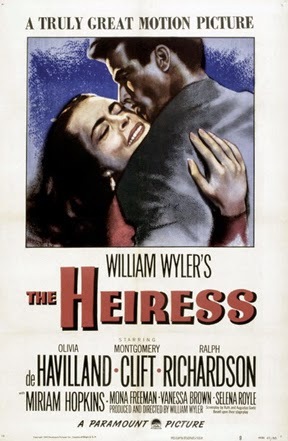 I love Olivia de Havilland, Montgomery Clift, Miriam Hopkins, and director William Wyler…but it wasn’t until last year that I saw The Heiress for the first time. Opening night of the TCM Classic Film Festival, Eddie Muller of the Film Noir Foundation introduced the Academy Award winning classic. He assured us that we made the right decision to attend the screening by saying: “Always go with Wyler.” Excellent advice.The Heiress is an exceptional film with career-defining performances from de Havilland and Clift, and an amazing comeback for Hopkins in a supporting role. The evolution of de Havilland’s character Catherine Sloper is complex and gloriously triumphant. And when she says the famous line“Yes, I can be very cruel. I have been taught by masters,” the festival audience collectively cheered. John Frankenheimer. James Wong Howe. 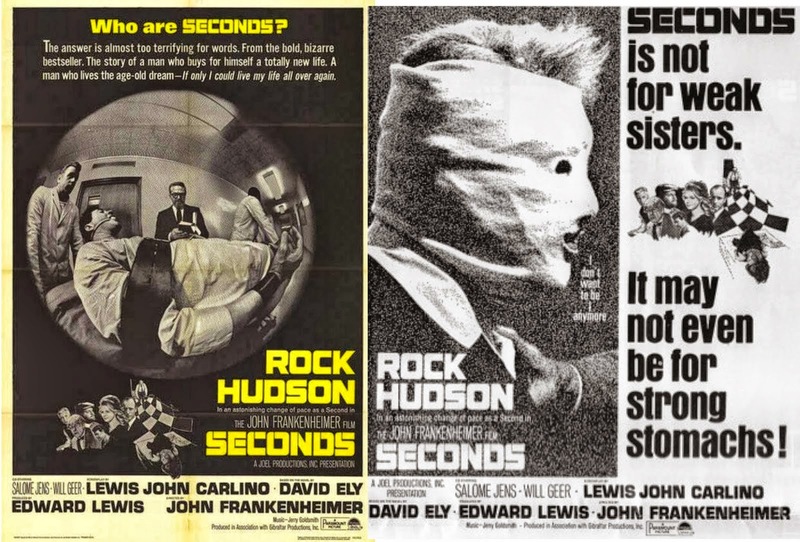 Rock Hudson.Seconds. Whoa. What a genuinely creepy, gorgeous film with a terrific performance by Rock Hudson. Prior to this, Hudson was known more for his romantic comedies and three-hanky Douglas Sirk melodramas than cerebral thrillers. Secondstakes the concept of “mid-life crisis” to a really terrifying, depraved place. The stereotypical mid-life behaviors one thinks of: sports cars, young mistresses, new hair… can’t hold a candle to the drastic actions taken by the hopelessly depressed Arthur Hamilton. 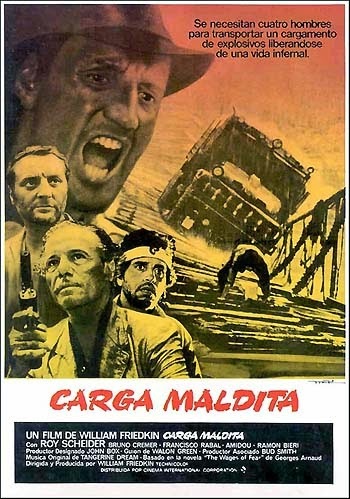 One of the most anticipated screenings of the 2014 TCM Film Festival was William Friedkin’s “resurrected,” newly restoredSorcerer— a masterful re-imagination of Henri-Georges Clouzot’s The Wages of Fear (1953). On-hand to introduce the film to a sold-out crowd at the TCL Chinese Theatre (formerly Grauman’s Chinese), Friedkin recounted the disastrous opening in 1977 (it played for a week at Grauman’s before being knocked out by some movie called Star Wars), and the years of navigating through complicated rights issues to complete the restoration and re-release. The story is relatively simple: four men (all from various parts of the world and criminal backgrounds) are hiding out in a South American village. They are offered the chance to earn a lot of money, but with one teensy little catch: they must haul nitroglycerin. For 250 miles. Through the jungle. Sorcerer is a gloriously terrifying thriller that just works. There is an incredible scene where the two trucks must cross a raging river by a rickety wooden bridge. Of course no sane person would ever think of crossing a bridge like this, with or without nitroglycerin. But these are desperate men seeking some kind of redemption for their past sins. This scene has very little dialogue—the sounds of shifting gears, engines revving, tires spinning. And rain. Lots and lots of rain. It’s a long, difficult, maddening sequence; Friedkin wastes nothing.At the end of the scene, the festival audience let out a collective sigh. My friend and I both looked at one another and mouthed “holy sh….” Sorcerer was released on blu-ray last year and it’s a must-own. A tip: make sure you crank up the volume for the eerie Tangerine Dream soundtrack and the Academy Award nominated sound effects. Several years ago, I saw my first Akira Kurosawa film: the post-WWII Stray Dog (1949) with Toshiro Mifune and Takashi Shimura, both of whom worked with Kurosawa many times. Ever since then, I’ve been working my way through the director’s impressive and varied filmography. Last September, one of our Landmark Theaters in Atlanta held a special 35mm screening of Ran—a visually stunning, epic adaptation of William Shakespeare’s King Lear. 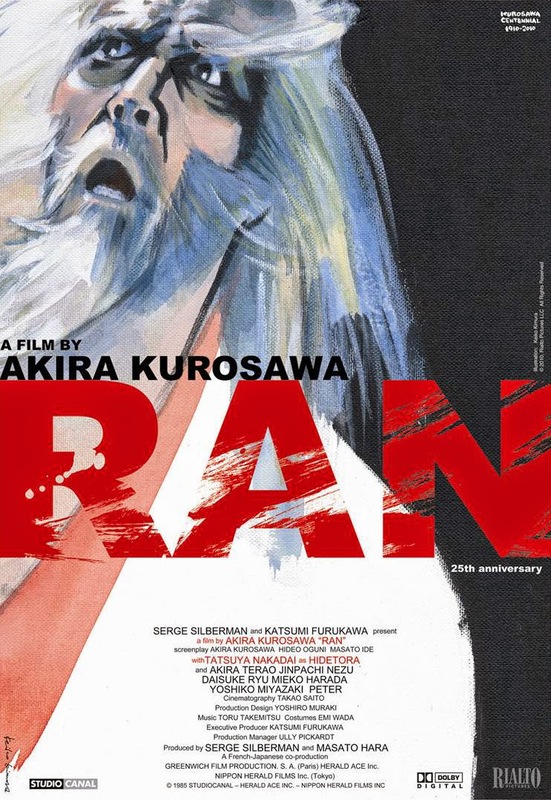 A story of betrayal, brutality, regret, Ran is definitely one of Kurosawa’s absolute best. In the past few years, Criterion has been re-issuing some of the director’s titles on blu-ray. Hopefully Ran will be next. Glenn Ford as a detective (ok, that’s about right). Lance Henriksen as the bad guy (again, sounds about right). Shelley Winters as a child-slapping nanny (no surprise there!). Sam Peckinpah as an OB/GYN (hmm, ok…). John Huston as some sort of demonic-child whisperer from another planet who uses his cool swagger, personal groovin’ soundtrack, and birds to defeat the powers of evil (now we’re getting somewhere!). And can’t forget Franco Nero’s benevolent Space Jesus and a late-seventies Atlanta. Oh how she shines! I saw this cinematic wonder at a small screening in an art gallery here in Atlanta, sponsored by local microcinema organization Contraband Cinema, with help from TCM’s Millie De Chirico. Paige Connor, who played the evil child Katy Collins, was in attendance (she’s got a great sense of humor about the whole thing). 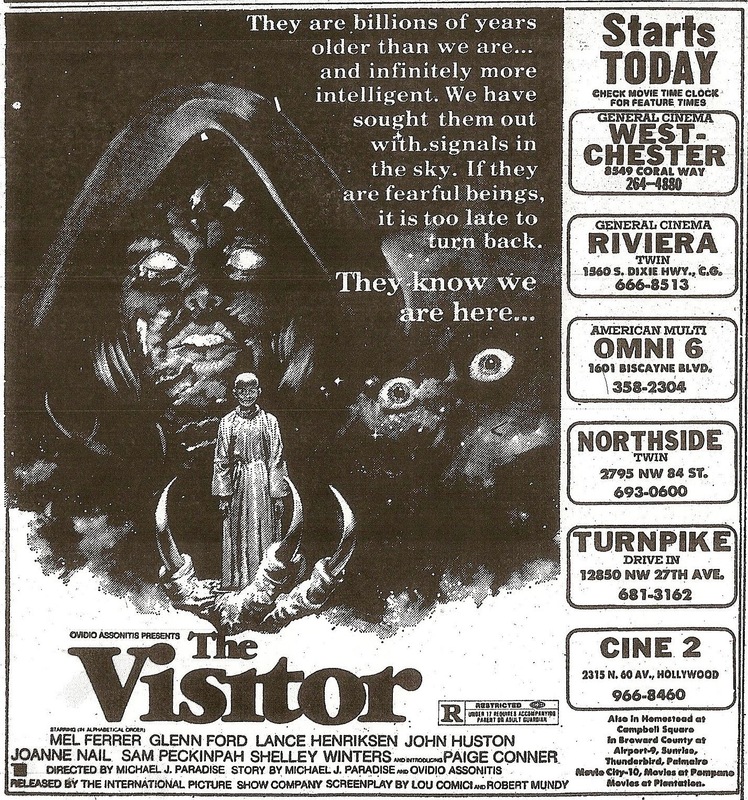 The Visitor premiered on TCM last summer as part of their TCM Underground series, and was recently released on blu-ray. For those who are curious but don’t want to blind buy (although you really should), it’s also currently available to stream on Amazon Prime.